Well the last four weeks will certainly be one to remember for years to come. About six weeks ago we were offered the opportunity to take over a shop in Erina Fair shopping center here on the Central Coast. The shop was amazing, fitted out originally for a mobile phone accessory shop so the lighting and fixtures were top notch. The only risk is that at anytime your lease can be cancelled and you have to vacate. So we had a two week period where we had to make all our stock, run our Blue Mountains Day Course and maintain all our online sales as well. Well we opened on the 18th of May, people loved the work and then unfortunately worst case scenario we had to vacate 10 days later. Just like our experience in 2007 opening a six month retail space in Warringah Mall it was another eye opener. One good thing to come from the experience is we are now changing our focus to online sales and expanding our image range. We have a new website being created and that should be launched by the end of the month (June). 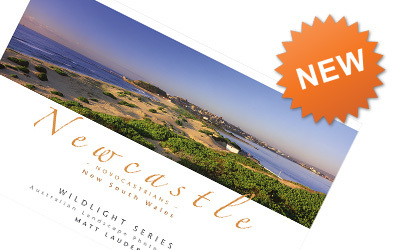 But what is really exciting is the decision to make expanding our image range outside of NSW our top priority. We have already fully planned trips to the Whitsunday Islands, Cairns and Tasmania being our number one priorities to shoot over the coming months. We are just waiting on the right weather for the QLD shoots and Tasmania will be somewhere in between. But we are hoping all three will be shot by October. Next blog post will be out sooner now that the dust of the four weeks has settled.